A secret lies within a good cup of tea, a secret that mankind has been aware of for thousands of years. The earliest scientific evidence of the use of tea as a drink dates back to 59 BC, but scientists and historians alike believe that it may have been used as a drink for thousands of years before them. Induction cooktops themselves are unique, as they require a very specific type of cookware. Choosing a tea kettle for this type of use can be difficult, so we are going to help you learn how to choose between the best tea kettles for induction cooktops and the worst. Willow & Everett are a brand that believes in the principle of the kitchen being the heart of any home, a place where numerous people can gather around and talk in peace. This can immediately be seen in the Willow & Everett Tea Kettle, which boasts a large capacity of 2.75L. One of the things that you already know that you have to take into consideration when purchasing a tea kettle for an induction cooker is the material, and this particular kettle delivers on that. It is made out of surgical-grade stainless steel. Stainless steel is known to be very durable, requiring a minimal amount of maintenance. It is worth noting that stainless steel is also very resistant to rust, unlike a number of other materials. The material itself is also known to be magnetic, meaning that it would be perfect for use with an induction cooktop. The magnetic attraction that occurs between the cooktop and the tea kettle enables the actual tea kettle to generate the heat that is necessary to brew the tea, with none of the additional risk that comes with a cooker that is hot for a large period of time while it cools down. The base of the kettle itself actually utilizes numerous different types of metal to ensure that this kettle works perfectly on induction cooktops. These metals include iron, steel, and aluminium. This enables the water in the kettle to boil quickly, and the sheer size of the kettle ensures that the contents of the kettle stay warm for quite a long time after the kettle has been boiled. Willow & Everett have also made the smart design to ensure that this kettle is 100% BPA/Teflon-free. A lot of companies still include BPA (a type of industrial chemical) in the products that they create, even though it was proven to have the potential to be dangerous years ago. Research has successfully proven that BPA can seep into the foodstuffs that are exposed to it. Teflon is also dangerous, as it can release fumes when it is heated to a high temperature. All in all, the Willow & Everett Tea Kettle offers a mixture of productivity, durability, and aesthetic appeal. It is large enough to brew a good amount of tea at any given time. The stainless steel that it is made of is highly durable. It also looks stylish enough to fit in among different types of kitchen décor, featuring a shiny mirror finish and a non-slip black handle. Induction cookers can be relatively difficult to work with. Anyone that owns one will know just how difficult it can be to find cookware that is compatible for use with an induction cooker, although products are slowly becoming more available. Luckily, OXO is a company that is rather unique when it comes to this matter. They believe in upholding their important philosophy of universal design, ensuring that their products are compatible with a range of devices, including induction cookers. This particular kettle would fit in a range of different home environments, from old-style kitchens in farmhouses to brand new kitchens in incredibly modern homes. It doesn’t feature a single awkward to use button or lever, but it does feature two different handles. The lower handle is used for opening the kettle up so that you can add water, the higher handle should be used when the kettle is in use. This is because the top handle is both non-slip and heat resistant, making it incredibly safe and easy to use. It is also worth noticing that the handle of the OXO Good Grips Uplift Tea Kettle is also connected to the spout. You simply have to pick the kettle up by the handle to make the spout open automatically, this ensures that you cannot accidentally knock the kettle over and spill the hot contents that are inside of it. The spout itself then stays in the open position, ensuring that you can pour as precisely as you need to. The construction of the OXO Good Grips Uplift Tea Kettle is also worth noting. It features a single built-in whistle that alerts you to the contents of the kettle reaching their optimum temperature. The water itself actually reaches optimum temperature incredibly quickly, as the base of the kettle features three different levels of metal that all have magnetic properties. This means that the kettle reacts well with an induction cooktop, as metals with stronger magnetic properties are known to heat up quicker on an induction top. Any person would find this particular kettle relatively easy to clean and maintain. The large opening where the lid attaches to the kettle gives you an easy access point, enabling you to get your hand right in there during cleaning periods. There is no need to struggle with small cleaning tools to keep this kettle clean. 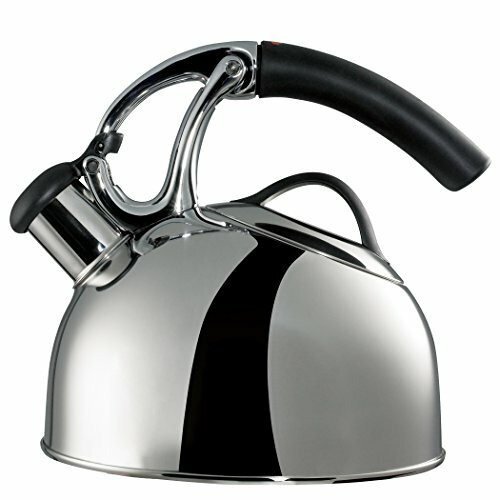 The OXO Good Grips Uplift Tea Kettle is also aesthetically appealing, as it features a polished stainless steel finish. Stainless steel is a fantastic material that requires a minimal amount of maintenance. The Chef’s Secret KTTKC Surgical Steel Tea Kettle has the potential to work perfectly with absolutely any level of induction cooker, as it features a mixture of both stainless steel and copper. The copper itself can actually be found in the form of a disc in the centre of the base of the kettle. Copper is a good material to use in this situation, as it is known to heat up quickly while being used with an induction cooker. This single quality can save you a ridiculous amount of time in the kitchen. A highly magnetic metal works quickly with any induction cooktop, while a non-magnetic metal will not be capable of working at all. This means that stainless steel and copper are both metals that will work quicker than other products, as they are highly magnetic. The Chef’s Secret KTTKC Surgical Steel Tea Kettle also features a riveted handle, making it extra easy to hold, even if you do have slippery hands. The handle itself is also made out of a heat-resistant material, matching the material of the knob that can be found on the lid of the kettle. It is also worth noting that the overhead handle has a built-in spring trigger, one that opens the lid of the kettle as soon as it is pressed. One of the advantages of that the Chef’s Secret KTTKC Surgical Steel Tea Kettle can offer to the consumer comes in the form of a single safety feature. The lever that opens the kettle itself has been strategically placed, ensuring that your hands don’t go anywhere near the steam that will come out of the kettle as soon as it is opened. Unfortunately, this kettle also comes with a few disadvantages. Most stainless steel kettles are relatively durable, but this particular one is prone to breaking down whenever it is left on a high heat for an extended period of time. Some kettles are also known to leak around the neck of the kettle, something that could potentially be dangerous given the situation. The All-Clad E86199 Stainless Steel Speciality Cookware Tea Kettle is a fantastic option for anyone that owns an induction cooker. The brand itself was established all the way back in 1971, and they are famed for producing professional bonded cookware for both avid home cooks and people that work professionally as chefs. The All-Clad E86199 Stainless Steel Speciality Cookware Tea Kettle is known for combining a mixture of both material quality and skilled craftsmanship, ensuring the reliable performance of the kettle. 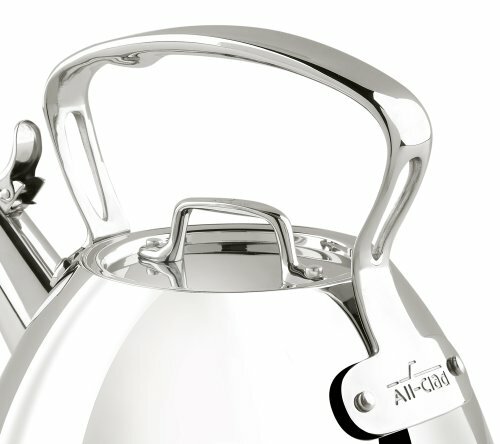 All-Clad really believe in this, as the kettle itself comes with a limited lifetime warranty, they really do intend for it to last for a lifetime. When it comes to materials, the outer shell that this kettle consists of is a single ply stainless steel construction that has a mirrored finish, while the base itself is bonded. This makes sure that the base can resist warping due to the heat that is produced, while also ensuring that this kettle will work perfectly well with any induction cooker. The outer shell itself has also been highly polished, to ensure that it can offer the consumer a high rate of stick resistance. Stainless steel is also a non-reactive metal, ensuring that any food that is exposed to the metal will not lose any natural flavor. The interior shell is quite different, as it includes a type of aluminium that aids even heat distribution. The All-Clad E86199 Stainless Steel Speciality Cookware Tea Kettle also offers an additional level of durability and safety. The durability comes in the form of the stainless steel that it consists of. You don’t even have to worry about washing the kettle by hand, as it is 100% dishwasher safe. The safety aspect comes in the form of the fill line and whistle, because a fill line indicates just how much water you can boil safely, and the spout whistles while the water is boiling. 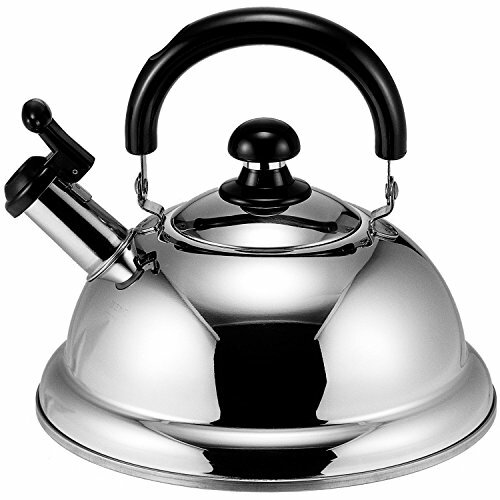 When it comes to people with large families, the Vanika Stainless Steel Tea Kettle is a fantastic option. When filled to full capacity with water, it holds a whopping 3L. This is perfect for large families, or for households that usually have guests visiting. It means that you no longer have to fill the kettle up more than once to ensure that everyone gets a drink, instead you can just sit back and let a single kettle boil. 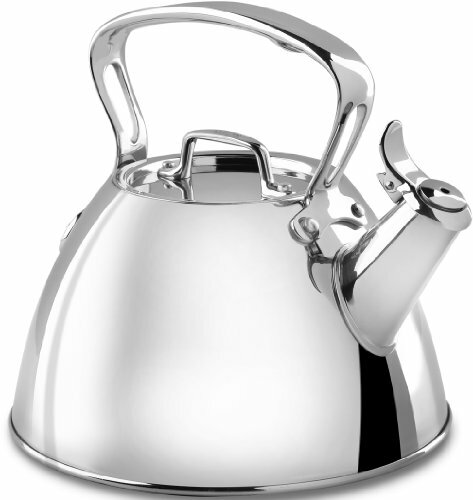 The appearance of the Vanika Stainless Steel Tea Kettle is actually incredibly aesthetically pleasing, as it consists of a stainless steel metal that has been polished to give it an effective mirror finish. It makes the whole design of the kettle look exceedingly beautiful, and the steel itself features a number of stamped steel marks so that you can verify the materials that the kettle is made out of. On the safety side of things, this particular kettle only really features a heat-resistant handle. 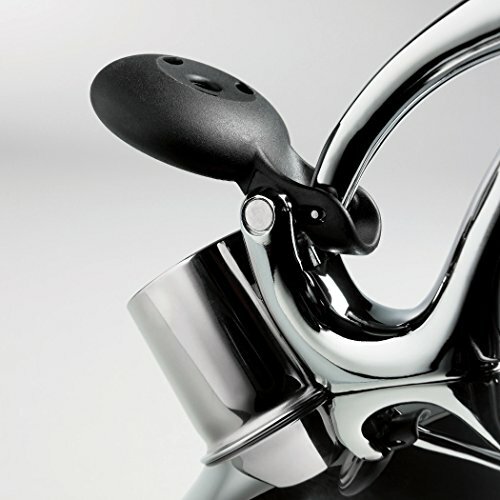 The handle itself has also been well placed, with the placement ensuring that no steam could potentially touch your hand while the kettle is in use. One of the few downsides of the Vanika Stainless Steel Tea Kettle comes in the form of the thickness of the metal itself. Most of the stainless steel is incredibly thin. This doesn’t affect the kettle in a severe way, but it does mean that the kettle will not retain heat for as long as one with a relatively thick base would. One of the other downsides is that the interior of the Vanika Stainless Steel Tea Kettle contains Teflon, a product that is known to release fumes when it is heated up a lot. Luckily, your kettle would never reach the temperatures required to cause those fumes, but this should still have been looked into during the design process of the kettle itself. Japanese creations are known for their quality craftsmanship, and the Quickone Takei Energy-Saving Fuefuki Whistle Kettle is no different. The kettle itself was made by Takei-Kibutsu Co., a small stainless steel manufacturer based in Niigata, Japan. The quality of the Quickone Takei Energy-Saving Fuefuki Whistle Kettle is immediately evident upon viewing it, as the stainless steel has been polished a high amount to make it shine brightly. The design of the kettle itself also makes it look a lot more expensive than it actually is, a trait that a lot of consumers are known to like. Stainless steel is known to work well with induction cookers. Added to that is the fact that the material works well with the shape of the kettle, working together to offer the user maximum efficiency. The kettle is wide opposed to being tall, making it much more stable and ensuring that the water inside of it boils and reaches ideal temperature quickly. The Quickone Takei Energy-Saving Fuefuki Whistle Kettle features a maximum capacity of 2.5L, although you would never be advised to fill it up quite so much. 2.5L is enough water to successfully make around 3 generous cups of tea. 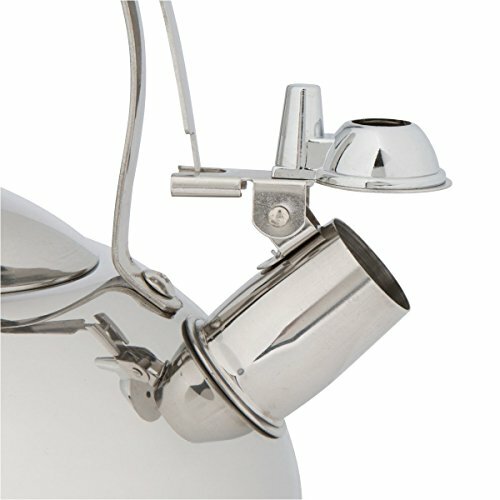 The whistle in the spout is both loud and high pitched, meaning that you would know that the kettle has finished from inside of another room in your home. The handle itself also has an additional feature, as it can fold down for easy storage. Are you a tea drinker? You don’t have to rule out kettles of this nature just because you don’t like the traditional tea that goes inside of them. The POUR OVER kettle has been designed specifically for use with coffee, making it stand out from the crowd among an array of tea kettles for induction cookers. Brewing tea can be quite challenging, as too much heat can easily burn the expensive tea leaves inside of your kettle, ruining your cup of tea. Luckily, this was thought about during the design process of this particular kettle, and it has been fitted with an accurate temperature gauge to eliminate all of your guesswork, and your heart ache. The built-in thermometer is known to do a fantastic job of quickly adjusting to the internal temperature that is present inside of the kettle, quickly alerting you to the optimum temperature. 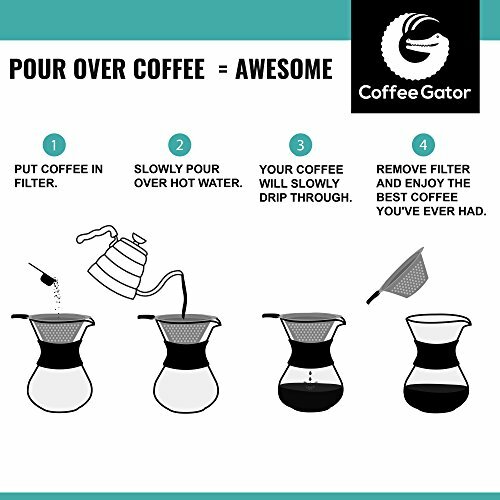 The POUR OVER kettle is also made out of medical-grade surgical steel, so you should keep it away from any physicians! This type of stainless steel is perfect for use with a kettle, as it is incredibly durable and requires a minimal amount of maintenance. The base itself features a double layer, something that works quickly with induction cookers and keeps the bottom of the kettle rust free. Unlike the other kettles that are featured in this review, the POUR OVER kettle is a little bit on the small size. It features a maximum capacity of just 1.2L, and the company themselves advise users to only fill the kettle to the 1L mark to avoid any potential over spilling while the kettle boils. Luckily, once this kettle has been taken off of an induction cooker it manages to hold its temperature for a relatively good length of time. In our opinion, the best kettle to be used with an induction cooktop would have to be the high-quality Quickone Takei Energy-Saving Fuefuki Whistle Kettle. It offers a number of factors to the consumer that are advisable to take into consideration. For example, it is large enough to be used in a range of different environments and it looks aesthetically pleasing. It is also made out of stainless steel, a material that is perfect for use with induction cookers, and one that requires a minimal amount of maintenance. Try to remember all of the different factors that you need to take into consideration when you go to choose a tea kettle for an induction cooker. Most importantly, it has to be compatible. If the tea kettle that you are looking at is made out of a material that is not magnetic, then it simply will not work. It also has to be large enough for your family, as a small kettle with a family of four that all like drinking tea would be disastrous. Last but not least, take your safety into consideration. Ensure that the kettle has been designed in a way that means no steam would be able to burn your hand while you pour. Finally, remember to look out for the small ‘induction-friendly’ symbol that is currently becoming more common. It can usually be found on boxes and looks like a cross between a small coil and a zigzag. What should you look for when choosing a tea kettle for an induction cooktop? There are a number of different factors that you have to take into consideration whenever you are choosing a new product, and a new tea kettle is no different. The most important thing that you need to consider is actually whether or not it will be compatible with your cooktop. 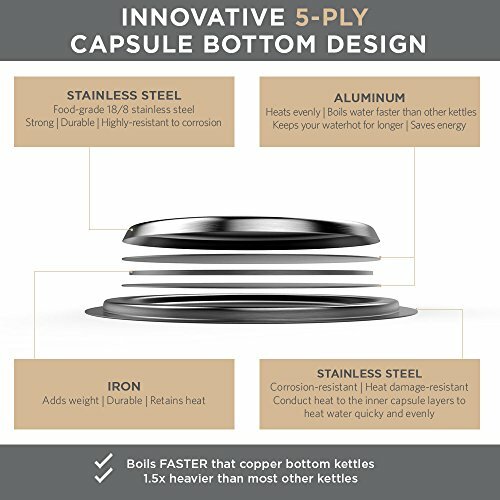 Compatibility is really important when it comes to induction cooktops, because they work in a rather unique way. A single coil can be found under each of the different sections of the cooktop, and said coil reacts with any type of cookware that consists of a material that is magnetic. The reaction that then takes place results in the cookware itself generating heat, opposed to the actual top of the cooker. People are known to burn themselves frequently on the tops of cookers, so induction cookers are gaining in popularity for getting rid of that risk. Do you plan on heating your warm drink up or brewing it? Whether you plan on brewing your tea or warming it up is actually a really important thing to consider. 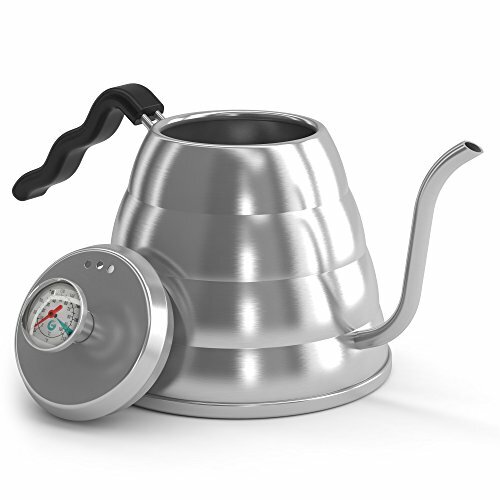 Some tea kettles have been designed specifically for brewing tea, whereas others have been designed specifically for warming coffee up. It is best to follow the manufacturer’s advice with regards to this. 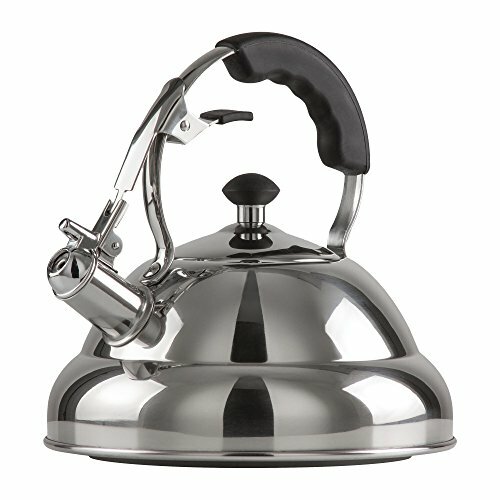 Is the tea kettle that you are looking at compatible with induction cooktops? A few years ago, it was difficult to tell which tea kettles were compatible with induction cooktops and which ones weren’t. Most tea kettles that are compatible with induction cooktops now feature a little sign on their box, the sign itself looks like a little zigzag. It is supposed to represent the coil inside of each of the sections on an induction cooktop. How many people in your household drink warm drinks at once? One factor that you might not initially think to consider is how many people in your household plan on having a warm drink at any one given time. This is actually a really important thing to consider, as tea kettles that are made for induction cooktops can vary in size quite dramatically. You also have to consider whether or not you often have friends around for tea, and whether you would be happy putting the kettle on more than once. What material is the tea kettle that you are looking at made out of? The material that the tea kettle is made out of is the most important aspect to consider. You have to make sure that the material is magnetic, you can check this by making sure that a magnet is attracted to it. Stainless steel and iron are both fantastic options that are worth considering, although there are a number of other options too. What does the tea kettle that you are looking at look like? The actual aesthetic appeal of a product is very important, but so is the practicality that it can directly offer you. On one hand, you have to consider whether or not it will fit in with the décor that is present in your kitchen. On the other hand, you have to consider whether or not the way that it has been designed will adversely affect its practicality. For example, kettles that are predominantly made out of iron are efficient at storing heat, while small kettles are known to lose heat quickly. 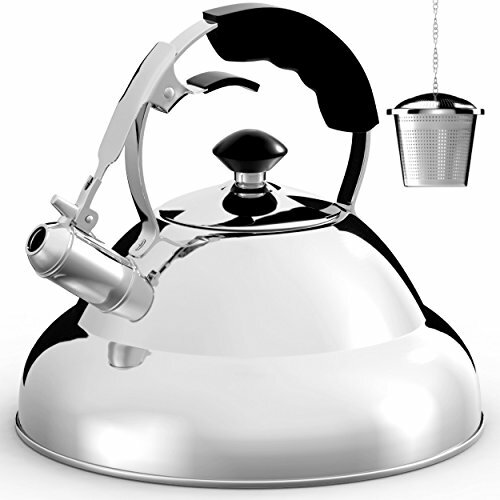 Stainless steel kettles are also known to look after themselves, requiring very little along the lines of maintenance. 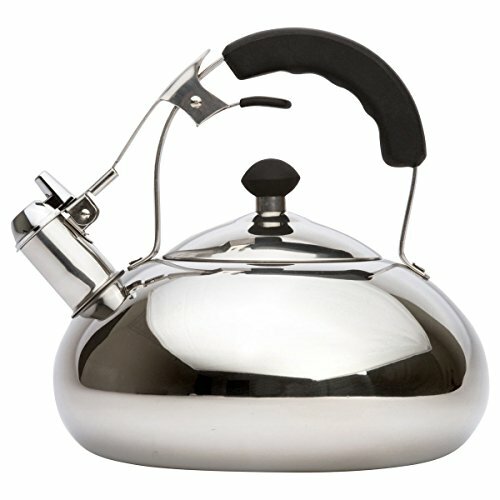 I hope my review of the best tea kettle for induction cooktops was helpful. Please leave a comment below.